September 2016 was when I had arrived at the Royal College of Art. The Jewellery and Metal department had recently moved form the Kensington Campus to the new purpose built Battersea Campus. For each of us jewellery students we got our own large jewellery bench and access to the best of workshop facilities. These facilities were equally matched in printing, photography, ceramics and fine art departments. It was clear that a huge amount of funding was necessary for the build and the generous donors were acknowledged by proudly displaying their name on parts of the building. It was not until the summer after my first year that I had mentioned to someone that I was studying at the Battersea campus and they had said ‘that was the building they sold the painting for’. Subsequent internet searching revealed that the college had sold Francis Bacon’s painting, Study from the Human Body, Man Turning on the Light in 2007 for an estimated £9 million pounds to help fund the Battersea Campus. 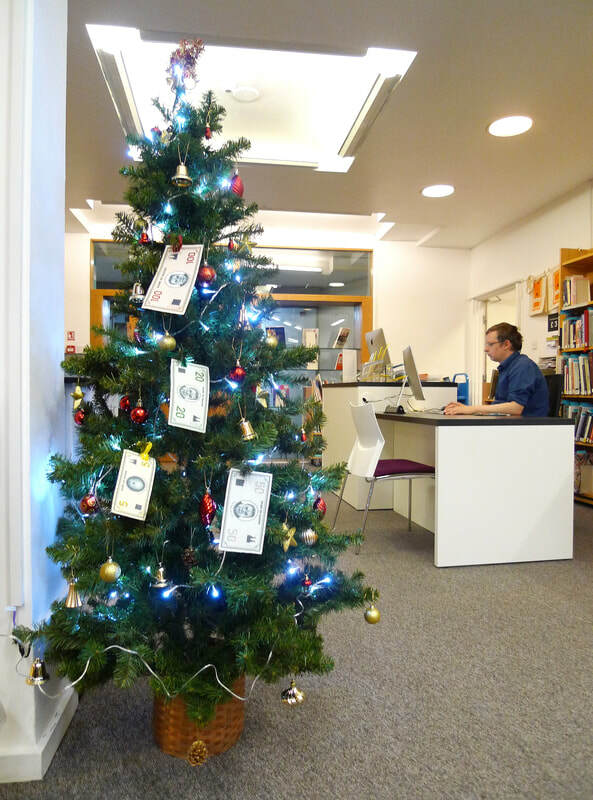 The college archives proved that this sale was a contentious issue at the time. However, students who use the Battersea Campus today are largely unaware of the story as there is no mention of the sale made visible in the college. It is within the Christie’s auction house catalogue that we discover how the RCA became owner of the painting as Bacon could not work at his own studio and therefore a friend of his who was working at RCA offered him a studio space. In return for this studio space Bacon left the painting to the college. 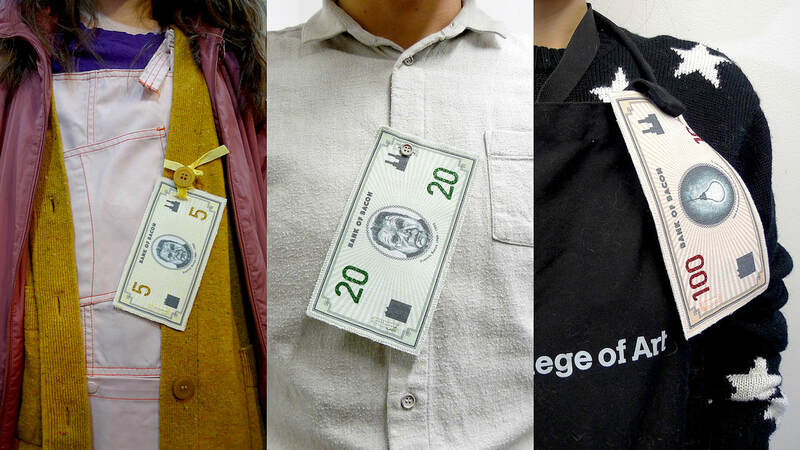 It seemed to me that this was an important narrative to publicise to the current cohort of students, so I made a set of wearable commemorative bank note souvenirs reminding us that the production and investment in art can always be lucrative. 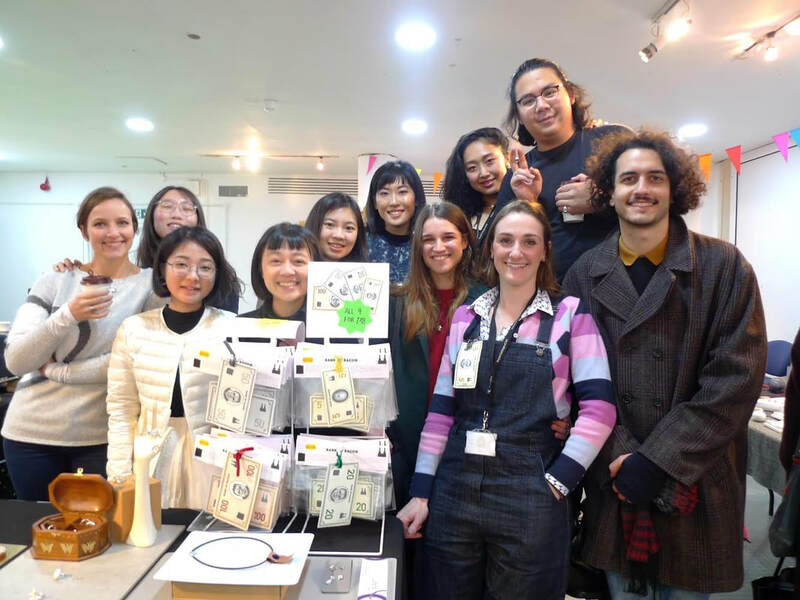 Ten percents of the proceeds from sales were donated to the RCA student hardship fund. 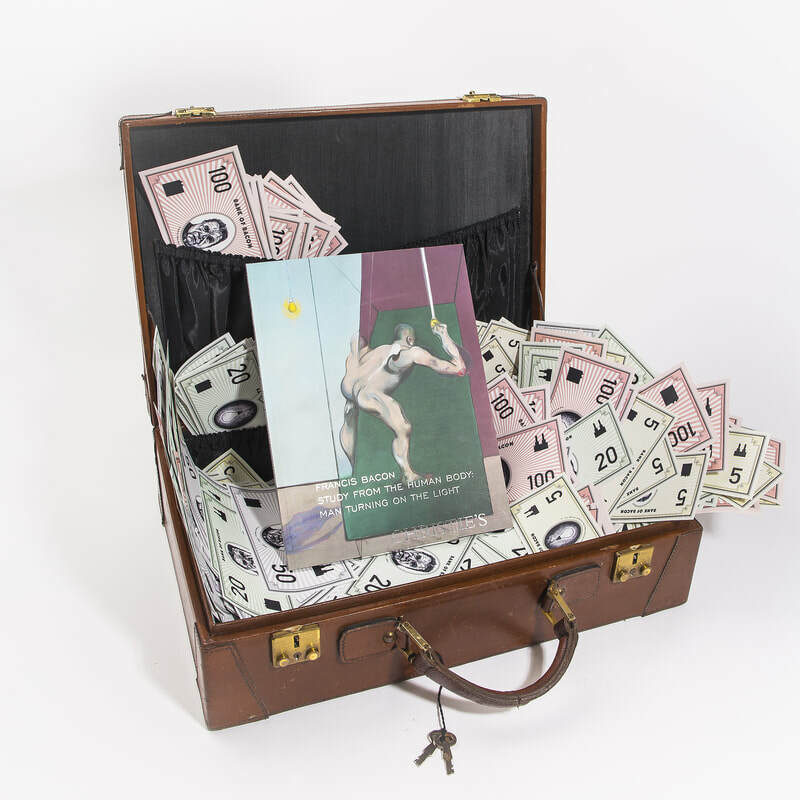 Bank of Bacon: suitcase, gold foil embossing, auction catalogue, paper money. 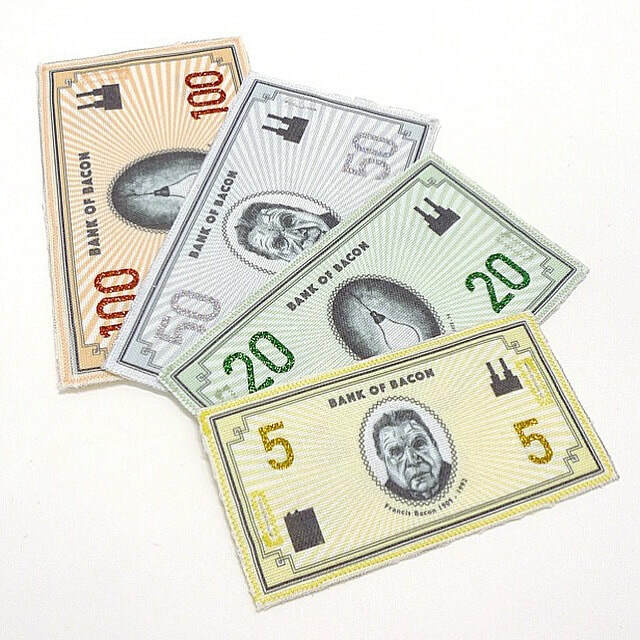 Selling banknotes at Royal College of Art Christmas fete. The painting used to hang in the Senior Common Room which is directly above the library.